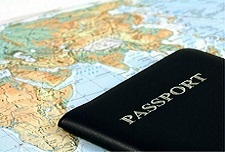 ﻿ What are the advantages of having a second legal passport? The Caribbean and Latin American countries are the ones that count on the most consolidated and internationally prestigious citizenship by investment programs. Here, we’ll analyze the advantages of the passports from Antigua and Barbuda, Domenica, St. Kitts and Neves, Grenada, Panama and Venezuela. A passport from Antigua and Barbuda allows entry into 146 countries without needing a visa; among them are all of the countries in the European Schengen area, as well as the United Kingdom and Canada. The citizenship by investment program was reactivated in this Caribbean island starting in 2013 and allows a person to obtain a person in two manners: through a donation to the governmental National Development Foundation or through a property donation. The Dominican passport guarantees visa exemption in 133 countries, including the United Kingdom and members of the British Commonwealth, as well as all countries in the EU Schengen area. Dominica’s Citizenship by Investment Program counts on two options: a direct donation to the Government and making an investment in property. Using the Passport from St. Kitts and Neves, you can enter 150 countries without requesting a visa; among these are all countries of the EU and the members of the British Commonwealth of Nations. You can use either of these two options to obtain this second passport: a donation to the Sugar Industry Diversification Foundation or make a property investment in this country. Grenada’s passport is also very attractive, because it allows you to travel freely to 135 countries, including all those in the EU Schengen area, the members of the Commonwealth of Nations and, in addition, this passport offers great options for receiving the E2 visa to the United States. Grenada’s Citizenship by investment Program has two possibilities: making a donation to the governmental National Transformation Fund or making a property investment. One of the options currently used the most for obtaining a Panamanian passport is resorting to the Independent Retiree’s visa. This type of visa insists on, as a fundamental requirement, making a fixed-term deposit in the Panama National Bank or the Savings Bank of an amount between 800,000 USD and 1,000,000 USD. The Panamanian passport offers multiple advantages, among which is the entry into 105 countries without a visa; in addition, those who have this document are exempt, for example, from paying taxes on importing a car every two years; taxes are eliminated for importing furniture of value up to 10,000 USD, as well as taxes being eliminated, and discounts on services in Panama such as electricity, phone, water, movies, restaurants, hotels, etc. The Venezuelan passport is also a very useful document, because you can travel with it, without applying for a visa, to 81 countries. To know the steps that lead to permanent residence in Venezuela and obtaining a passport, contact us.